This is one of the original photos from my experiments. 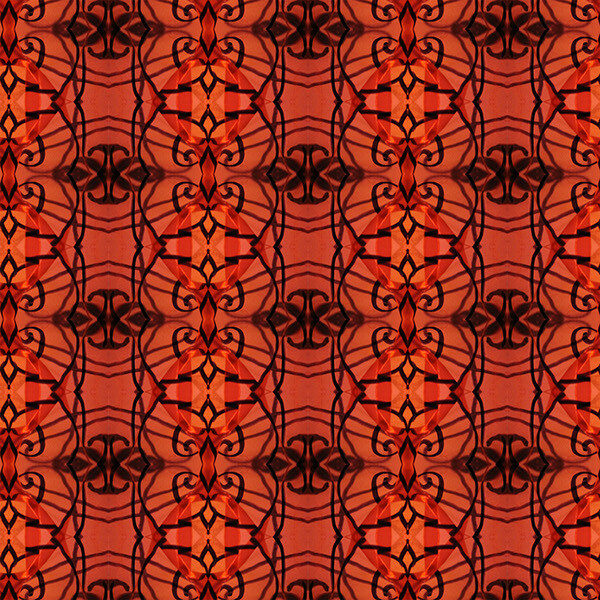 This pattern began from a series of experiments. I used cellophane, sharpies, a light set-up and my camera to produce a collection of line and typographic manipulations. 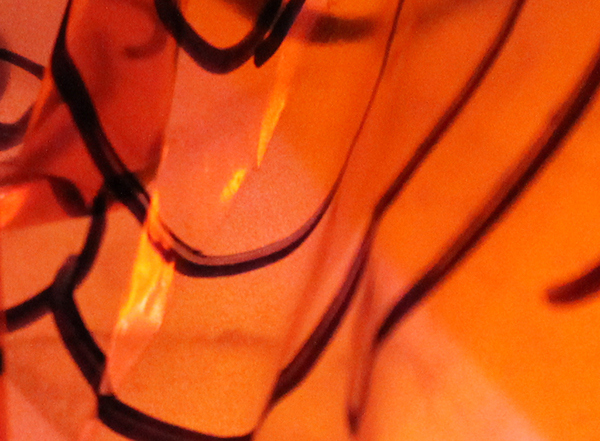 Through warping the plastic and shining light from various directions, I found that the type, and image had life. 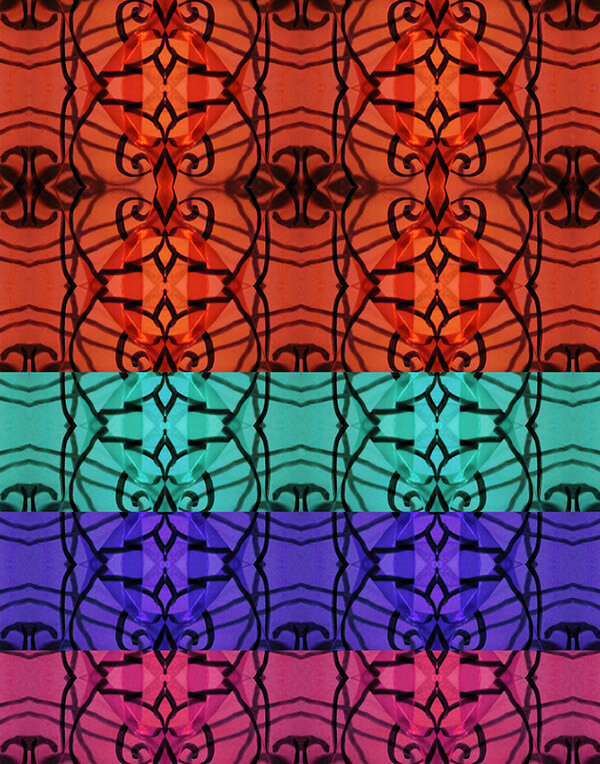 I then used one of these images as part of a motif, of which I put into repeat in Photoshop/ Illustrator.